Ah magnificent Shanghai—a city so alive it’s practically buzzing. And with a population larger than most small countries, it’s no wonder that this fantastic juxtaposition of old and new pulsates with the energy of change, progress, and a healthy dose of history. To get a glimpse of the past, head to the spectacular Shanghai Museum on the People’s Square to see ancient artifacts. Or wander Shanghai’s most iconic street, the Bund, where classic art deco buildings and the high-end stores of the French Concession almost make you think you’re in Paris (in fact, this area is what lends Shanghai the nickname “Paris of the East”). That is, until you look gaze the Yangtze River at the futuristic skyline of the Lujiazui area, which looks like it could have been the backdrop of the next sci-fi summer blockbuster. Explore modern architectural wonders like the Oriental Pearl Tower, Jin Mao Building, and Shanghai Tower, the second tallest building in the world. 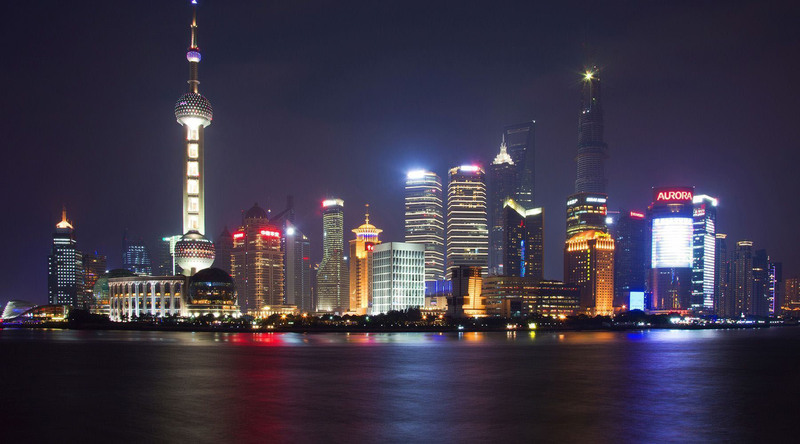 And because Azamara stays in port longer than any other cruise line, you might just be lucky enough to see Shanghai when it truly shines—after the sun goes down and the lights brilliant illuminate the futuristic skyline. The active and holy shrine is the most famous Buddhist temple found in Shanghai, featuring white jade Buddhas from Burma and impressive images of the Heavenly Kings. Also called Zhongshan Road, The Bund is a famous waterfront area, and a top 10 Shanghai attraction. Winding 1,500 meters, it is an amazing place to walk and take in much of Shanghai. Experience the sensation of flying on a round trip aboard the state of the art Maglev train. Explore the highest buildings in China in the bustling Pudong New District. From Pudong International Airport to Shanghai International Cruise Terminal: Drive through A1 highway, turn right at Luo Shan Rd, drive along with Luo Shan Rd then onto the Yangpu Bridge, get off the Bridge at the Lin Qing Rd Exit, turn left drive through Lin Qing Rd then turn left again at Chang Yang Rd, go straight from Chang Yang Rd to Chang Zhi Rd, turn left at Lv Shun Rd, drive through Lv Shun Rd and turn left at Da Ming Rd, keep driving until Gao Yang Rd, turn right to Shanghai International Cruise Center.